Can Hospital Room Dividers Help With Visual Privacy & Sound Insulation? The need for room dividers in residential applications has increased. 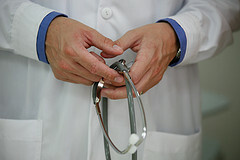 More patients than ever are opting for medical care in their homes. People are happier at home and are able to get more attention from family, friends and healthcare professionals when they are convalescing in their own homes. It has been proven that patients recover more quickly in a home setting, and not in a hospital. Home health care might be the desired option for patients, but what about privacy? Can privacy become an issue? 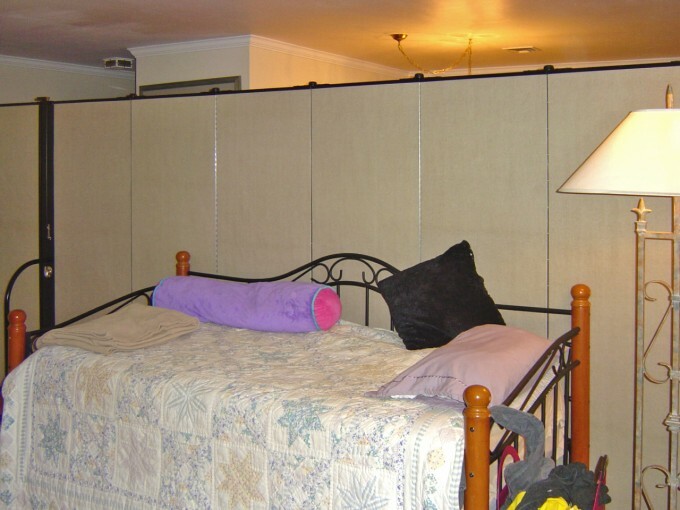 Room dividers are a quick and affordable option to providing temporary private areas for your spouse or loved one. Room dividers provide a nice visual and sound barrier between any two spaces, allowing for privacy during patient activities such as resting, changing or during medical care. Dividers can block up to 65% of sound for added sound insulation. 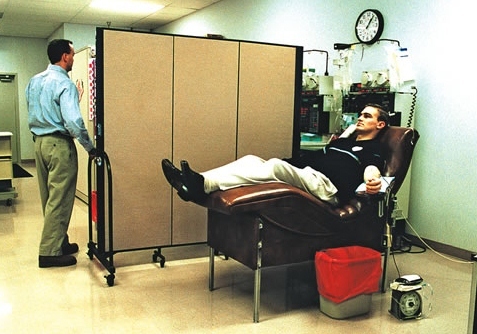 Healthflex screens are constructed using acoustical panels and covered with an antimicrobial coating. Easy to use and store, Healthflex dividers can be set up anywhere and come in two lengths. 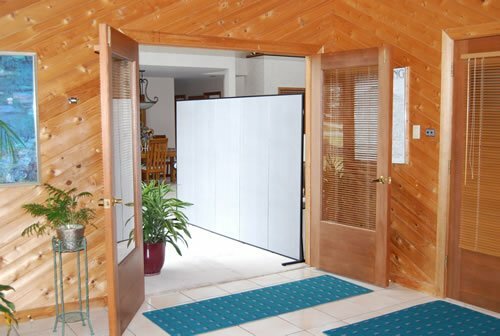 One room divider used as a privacy screen between the dining area and living area. 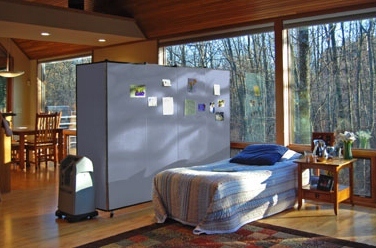 A Heathflex room divider gives more privacy to a patient recovering in the adjacent family room. Private bedroom with door created in the living area with one room divider.